On Tuesday, Cal Fire officials said two sagging Pacific Gas & Electric power lines caused last year's deadly Cascade Fire in Yuba County. The Cascade Fire started on the first day of the 2017 Northern California firestorm, and adds to the tally of 12 fires that investigators have tied to PG&E equipment. The utility company is facing hundreds of lawsuits and billions of dollars in damages. 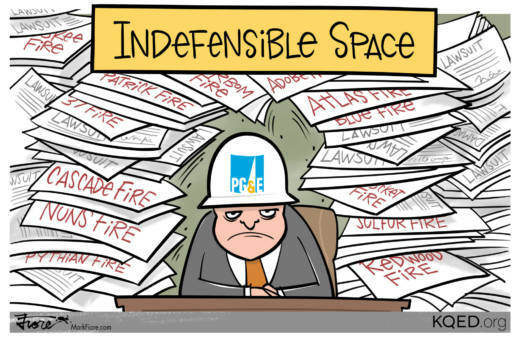 Its executives have suggested PG&E may declare bankruptcy, as it did in 2001, if found legally liable for the October 2017 firestorm. But Senate Bill 901, signed into law by Gov. Jerry Brown last month, may help with that.